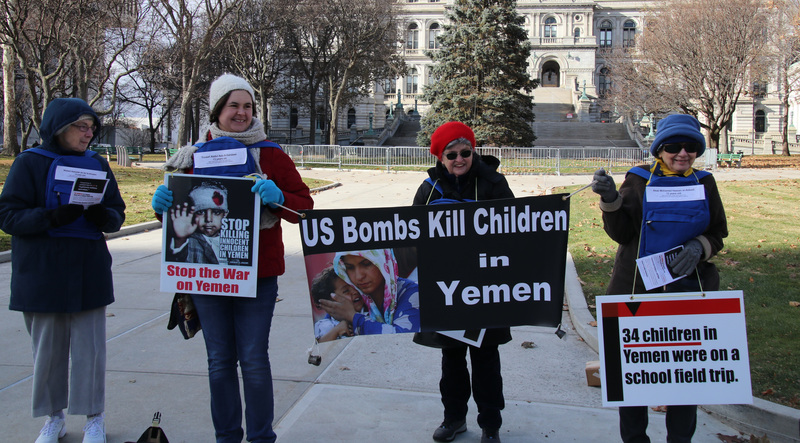 Children are starving in Yemen because of US bombs. 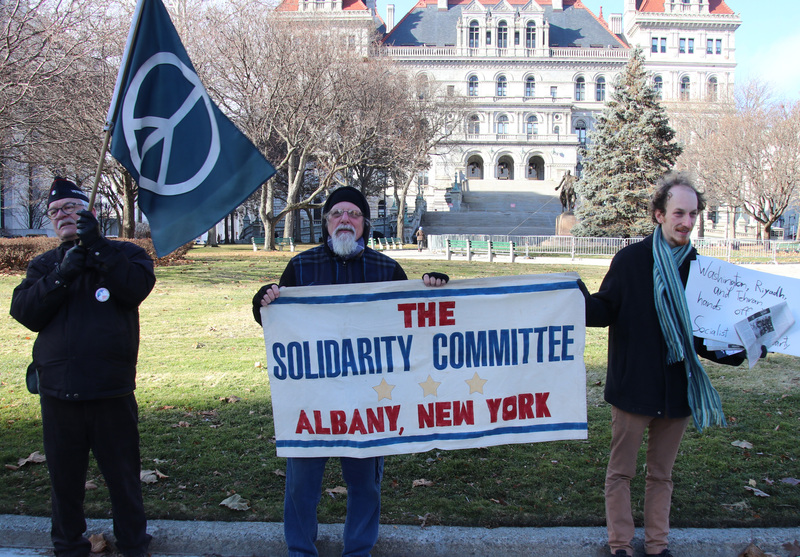 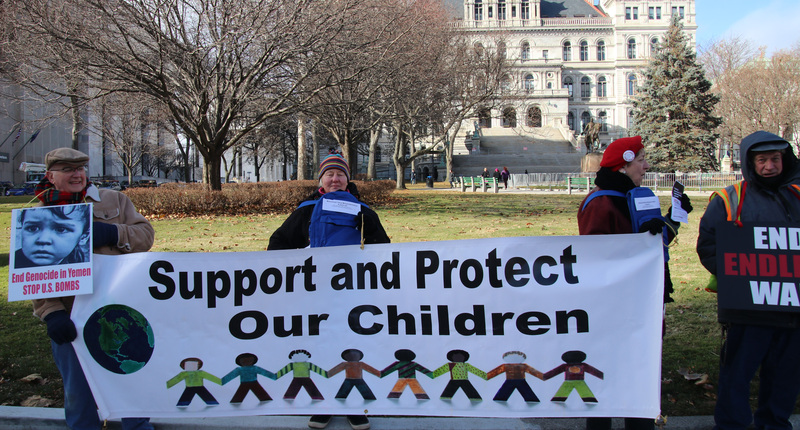 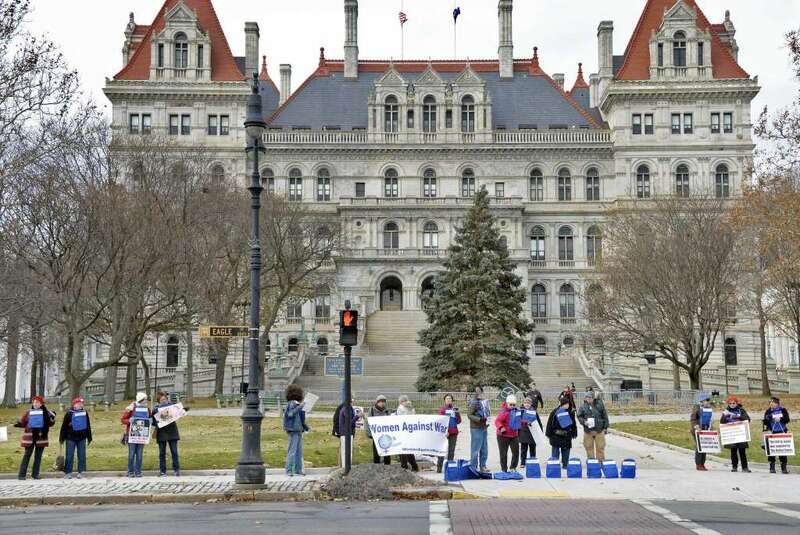 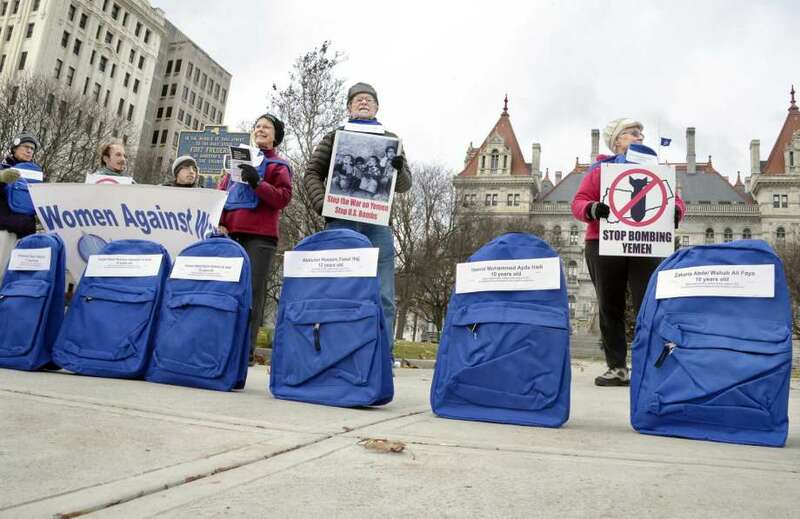 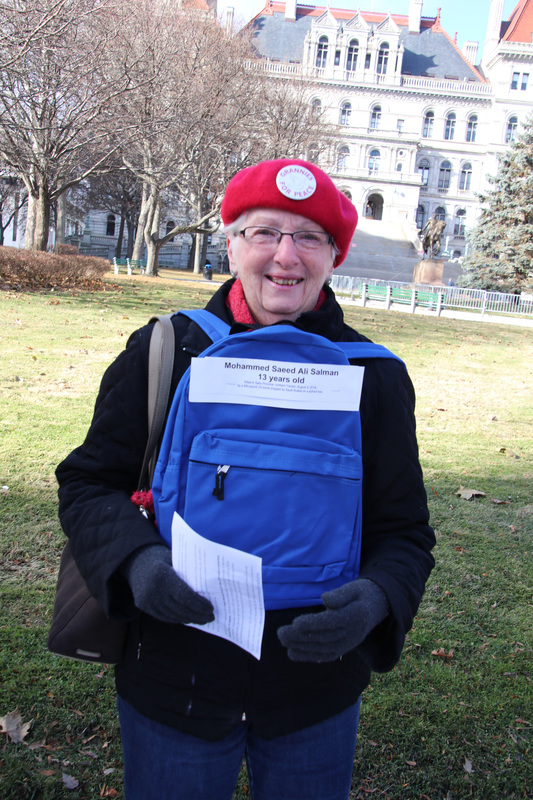 34 Backpack Vigil in Albany on Thursday, November 29th Noon to 1 PM. 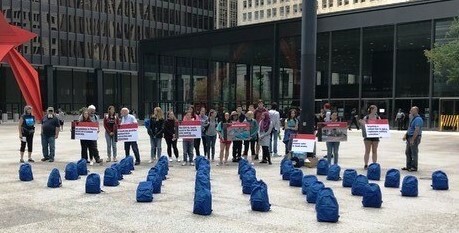 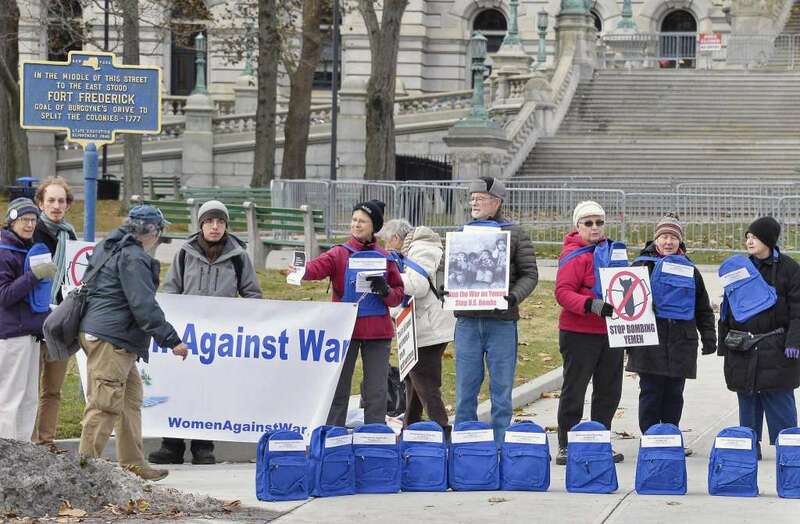 Despairing of getting House and Senate leadership to allow privileged status, under Authorization of Military Force rules to sponsored bills that would end US support for the Saudi led War in Yemen, The Iran Project of Women Against War decided to hold another public vigil. 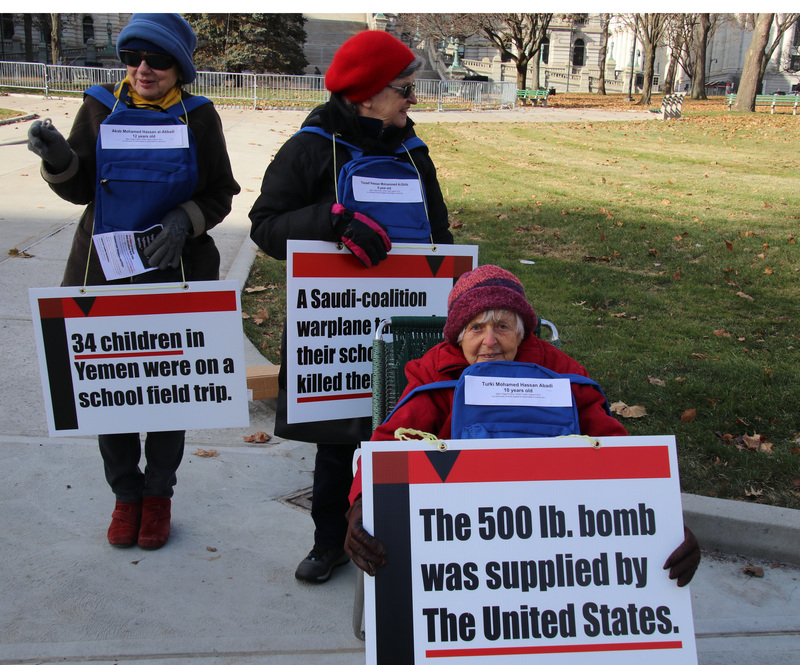 We felt that broader Congressional attention might finally be focused on US support and weapons sales – after the blocking of a long sponsored House resolution by Paul Ryan, the horrific August 9th bombing of a school bus by a US made bomb, and the brutal October 2nd assassination of journalist, Jamal Khashoggi, masterminded by Saudi Crown Prince, Mohammed bin Salman. 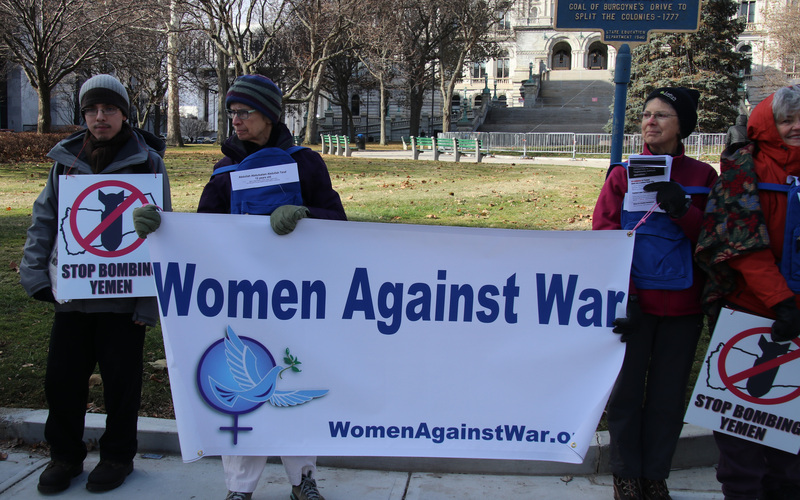 Women Against War has been lobbying and vigiling for years to remove all US military support and weapons sales to the Saudi Emirati coalition as the rate of starvation and deaths from preventable diseases has grown to epic proportions. 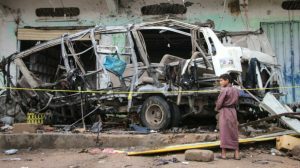 But this obvious violation of the rules of war by targeting a civilian vehicle provided a dramatic point to educate the public. 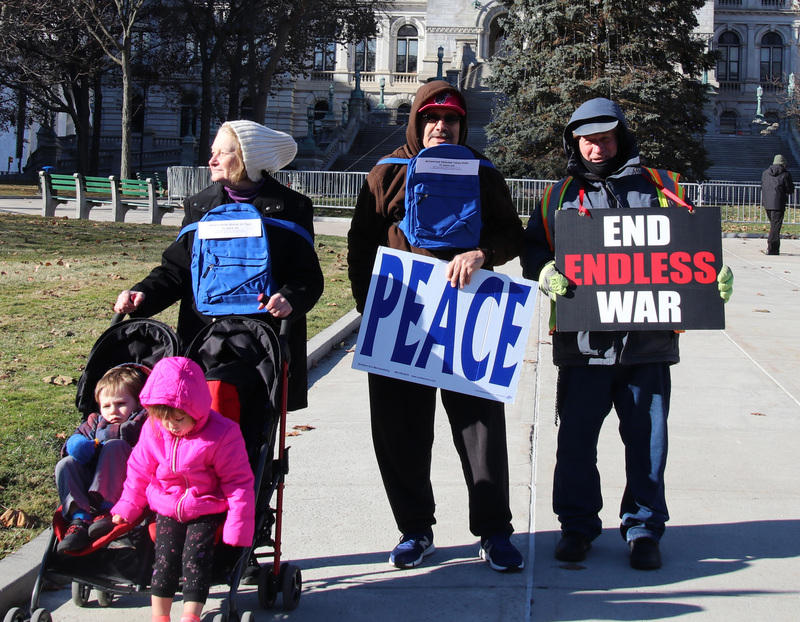 Voices for Creative Nonviolence had created the visuals for a moving and visceral vigil. 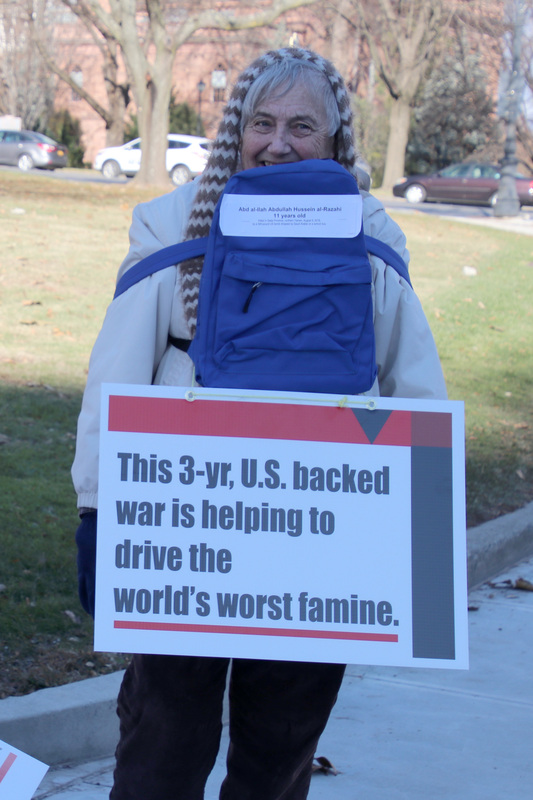 We decided to work with their ideas and their materials while adding some of our own. 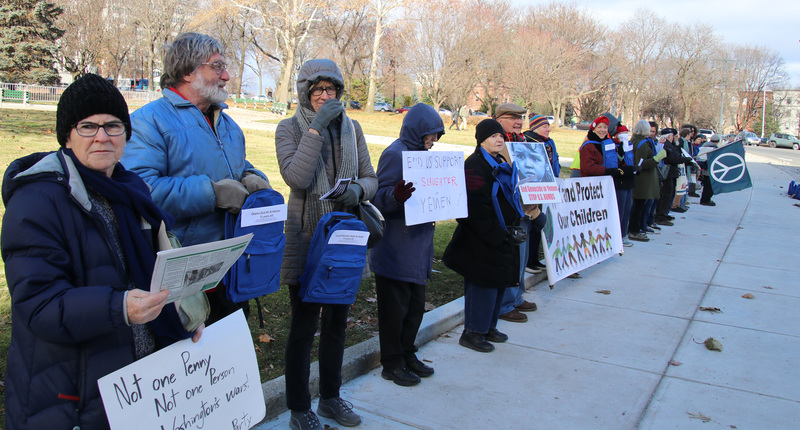 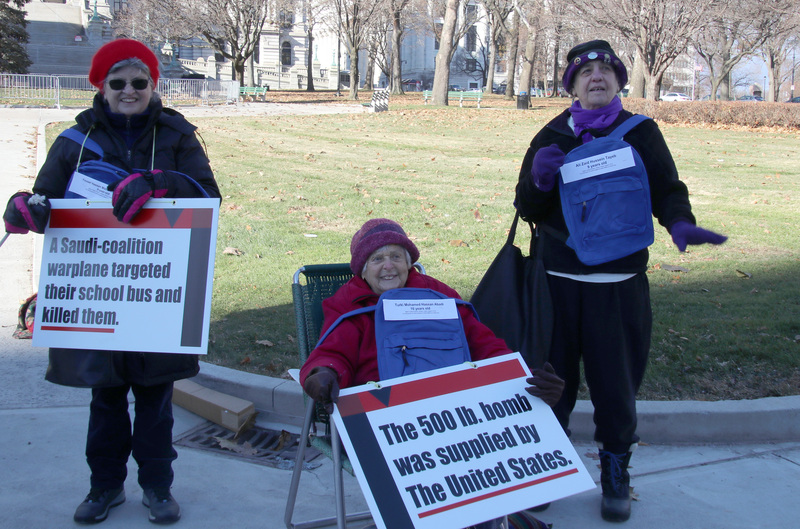 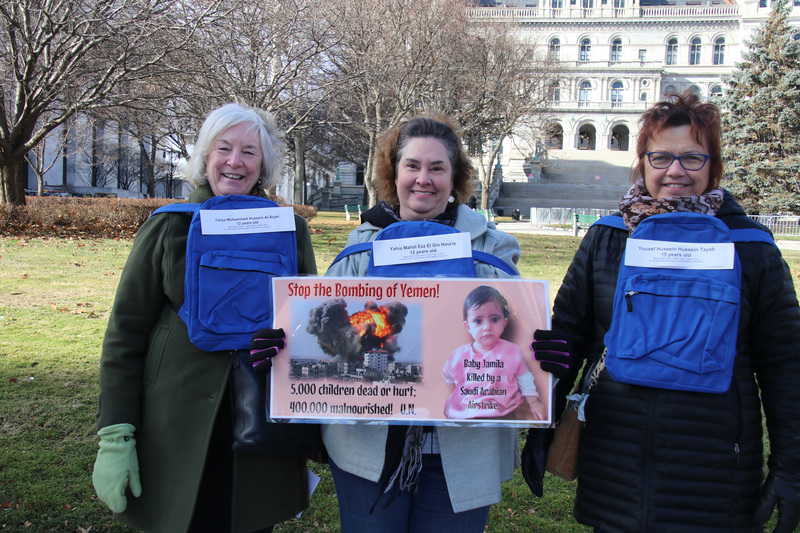 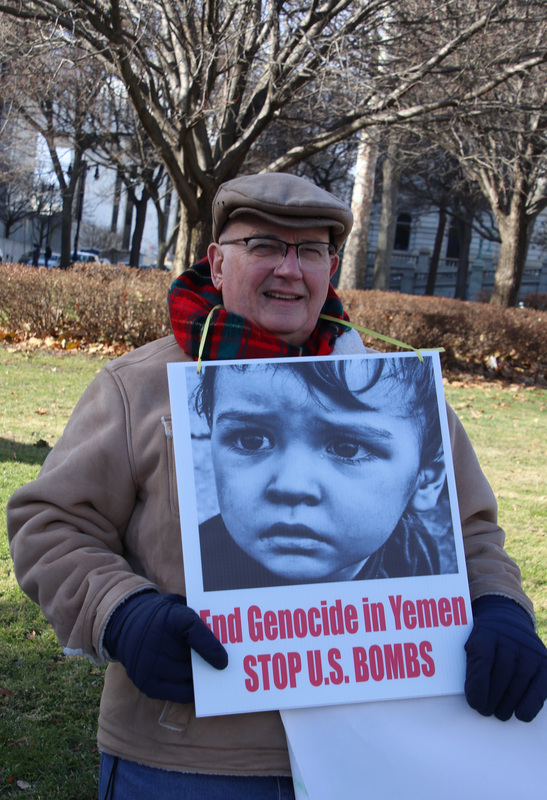 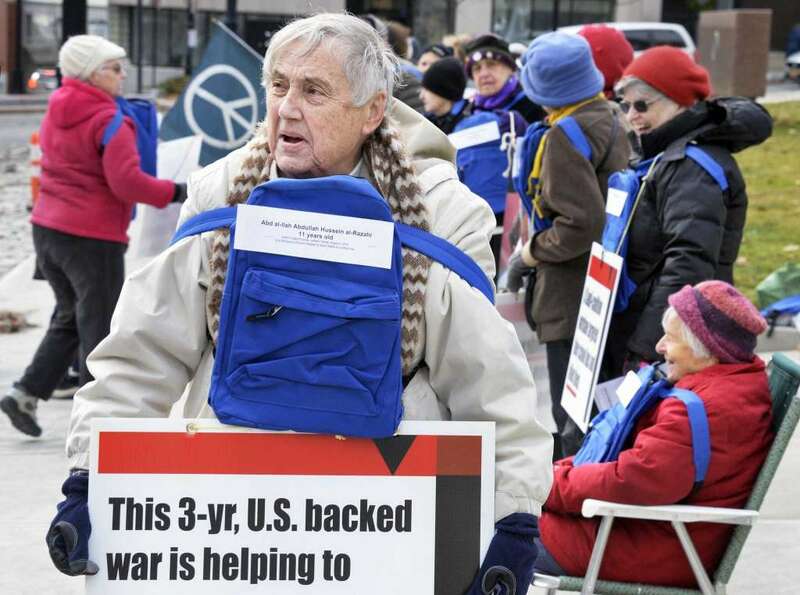 Much appreciation to Fran Dempsey for contacting Kathy Kelly and obtaining the backpacks and placards that they had designed, along with those in Grannies for Peace who shared previous signs and banners about the blockades and bombings in Yemen. 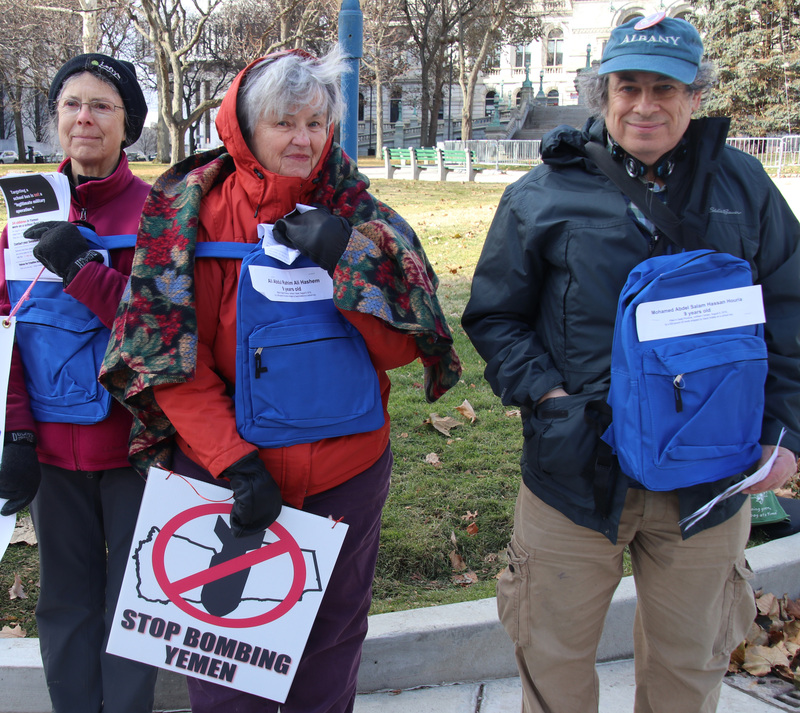 You’ll also notice that each backpack has the name of one of the 9 to 11 year old students who died in the bombing. 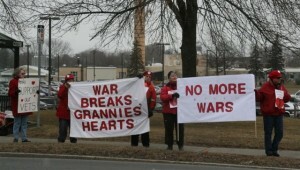 That work was done by some members of Fran’s family/community as part of the preparation. 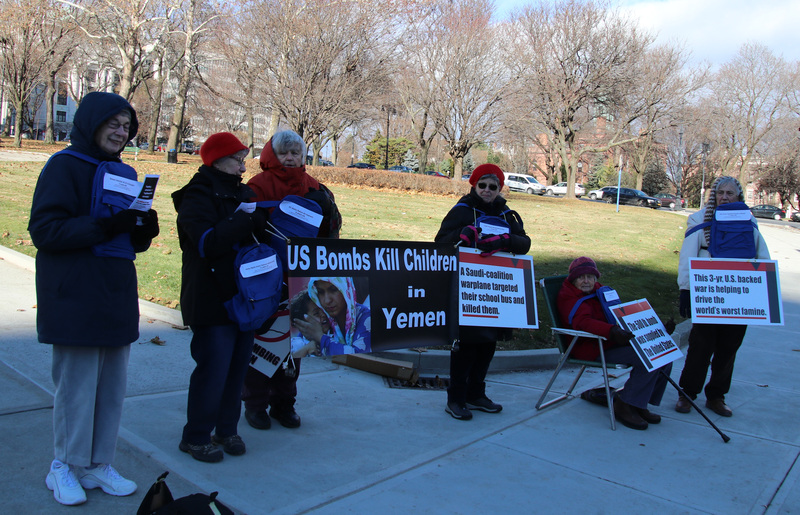 The 4 red, white and black signs taken together tell the story of the bombing and of the context of humanitarian crisis in Yemen. 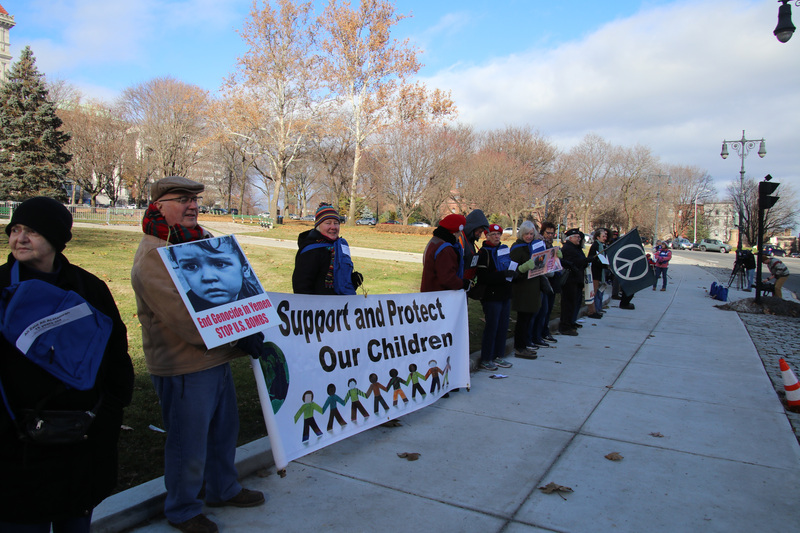 To get a wider picture of the spirit and physical impact of the vigil here are photos taken by Mabel Leon. 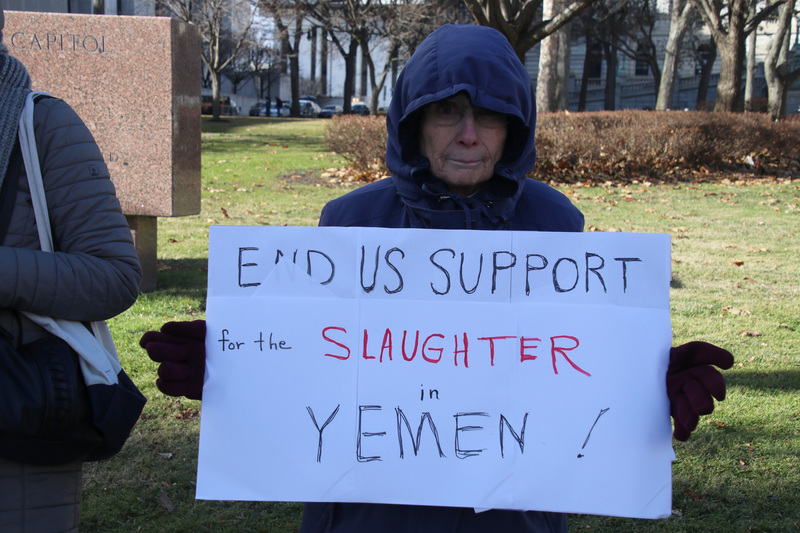 Given the most recent focus in the Senate on “punishing” MbS rather than on the suffering of the people of Yemen we may still have a longer struggle ahead of us than we would have wished. 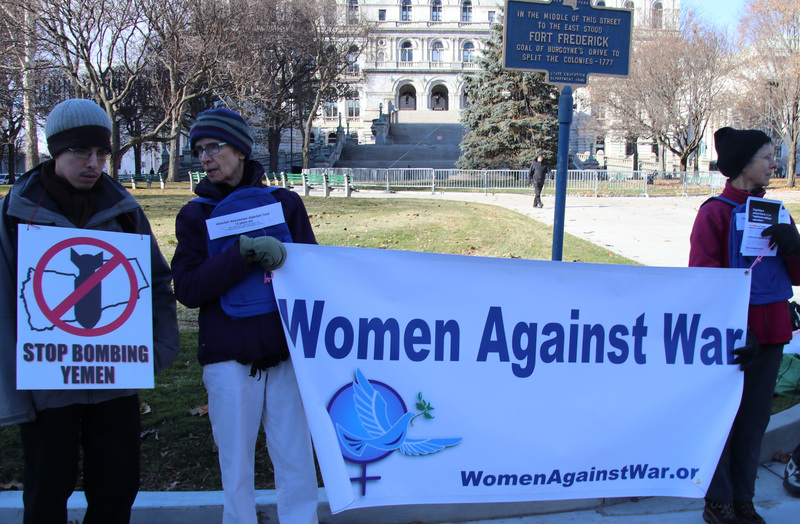 So stay tuned and keep on lobbying and being active!